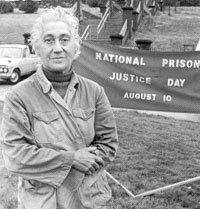 Claire Eglin Culhane was Canada's foremost activist for prisoners' rights for two decades. Born in Montreal on September 18, 1918 to Russian-Jewish immigrants (who were part of a mass exodus of Jews from Russia during the 1905 revolution), she and her brother were the only Jewish students at Maisonneuve School. "At Christmas time, we were rejected because we didn't believe in Jesus Christ. At Easter, were sometimes pelted with rocks because 'the Jews crucified Christ.'" She dreamed of being a doctor but her parents could only afford to send her brother to university. Constantly questioning authority, she was suspended from nursing school in Ottawa. She joined the Young Communist League in Montreal and fell in love with an Irish Canadian labour organizer, Garry Culhane, who was married with children. She supported the Mackenzie-Papineau Battalion in Spain and tried to form a union called the Association of Office Workers during the Maurice Duplessis era in Quebec. She was forced to leave Quebec during the 1941 War Measures Act. When Prime Minister Mackenzie King's government outlawed the Community Party of Canada during World War II, she and Garry Culhane went underground, later moving to British Columbia together. She married Culhane, they had two daughters, and they later separated. In October of 1967 she accepted a one-year appointment as Administrator of the tuberculosis hospital in Quang Ngai, South Vietnam where she grew increasingly critical of Canada's complicity as 'the butcher's helper'. Forced to leave in March of 1968 when American troops took over the hospital for their own purposes, she conducted a ten-day fasting vigil at the federal Parliament Buildings in protest, chaining herself to the public gallery in the House of Commons. Her first book, Why is Canada in Vietnam? The Truth About our Foreign Aid, exposed the barbarities she witnessed while working as a hospital administrator in South Vietnam. She came back to live in Vancouver in 1974. In September of 1976, Culhane became determined to get inside prisons and expose systemic degradation and brutality against prisoners after the ninth outbreak of violence and turmoil inside the B.C. Penitentiary in three years resulted in the demolition of an entire wing of the 100-year old building. She began her prison reform work tirelessly and aggressively as a 'prison abolitionist', supporting the complaints of prisoners, much to the irritation of prison officials who did their best to keep her out. 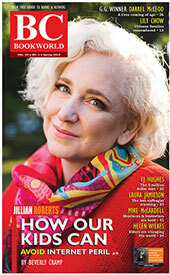 Her first book, Barred from Prison, is her unmitigated indictment of the Canadian penal system. Two follow-ups are Still Barred from Prison: Social Injustice in Canada and No Longer Barred from Prison continued to argue that Canada's prisons were a national disgrace. Mick Lowe's laudatory biography is called One Woman Army (Macmillan, 1992). In 1995 Claire Culhane received the Order of Canada. She died in Vancouver on April 28, 1996.